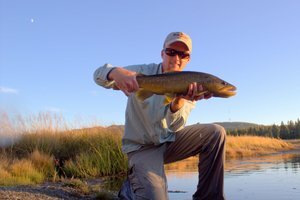 I'm going to stick my neck out a bit here and make a prediction: The good fishing in the Smokies will start next week!!! Several factors influence my thoughts on this. First and perhaps the most obvious, it has to happen eventually and we are moving into the time that the big spring hatches have started historically. Second, this week is my spring break and I NEVER have good fishing conditions during spring break, it is a curse I guess. Of course, the curse usually means that the week before and especially after (next week) break will be epic... This curse is real, honest to goodness. The last big rain event we had brought up the water level in Center Hill Lake to the extent that they have been generating 24/7. Before my break, it was fishable all day every day and I was making plans to hit it hard this week. 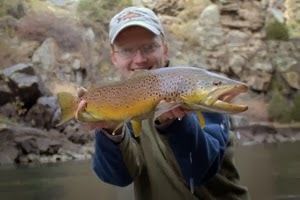 Instead, I'm forced to go fish the Hiwassee...be sure and check back tomorrow night for a report. Back to the more important great fishing looming just around the corner, the third reason is that the weather pattern is forecast to progress so we will be seeing warmer weather by next week. Will it be warm enough to kick off the hatches? 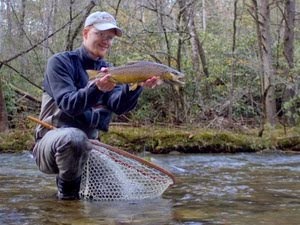 Here at the Trout Zone we think so and are already planning to be in the Smokies at some point that week and perhaps that weekend. Bring your Quill Gordons and Blue Quills and be ready for some fast-paced action!!! 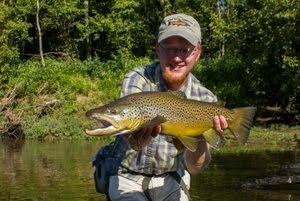 My buddy Ian Rutter's already seeing a few bugs, though as of yesterday, there weren't enough to get the fish working. Yes sir, I like the way you think. I'm heading down to Forney and Hazel Creeks for my spring break next week and I have been drooling over the forecast. 68? 67? I love it. I got skunked last year on Raven Fork with high water and temps in the 30s so hopefully this year I'll have some better luck. May just might be my favorite month to fish the park. 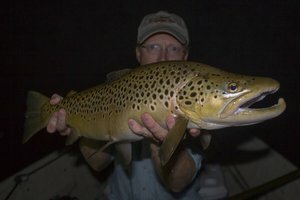 As long as there are not any big rain events, the streams should be about perfect and there are still plenty of reliable hatches...good times!! !